It's something that we're always supposed to be prepared for: being stranded without shelter. 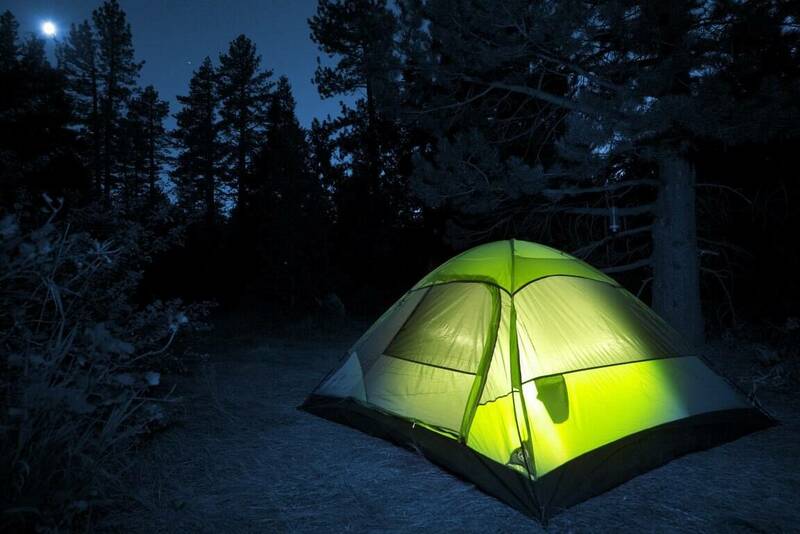 It isn't something that we like to think about, but it could very easily happen, especially if you're an avid hiker or outdoorsman, or if you're bugging out (hence why these can also be called bug out tents). That's why you should always pack a survival tent, in the event of an emergency. You should definitely carry an emergency tent in your bug out bag. But what makes the best survival tent? 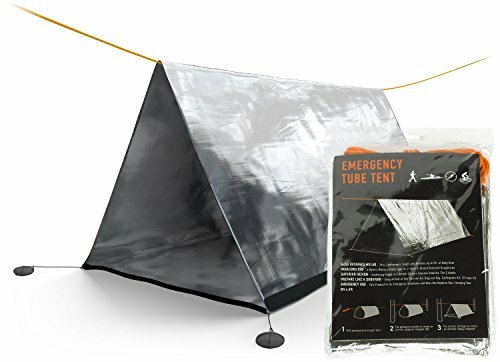 What is a Survival Tent? When Should You Use a Survival Tent? What Should You Look For in a Survival Tent? SURVIVOR X Emergency Shelter Tube Tent is an excellent survival tent, perfect for any scenario. It uses space blanket material, trapping 99% of your body heat. It has ground anchors, for more stability in high winds. The Survival Shack Emergency Survival Shelter Tent is a survival tent that is perfect for two people to use together. The Mylar from which it's made can retain up to 90% of your body heat. It'ss very lightweight and small enough to store easily. The Sportsman Emergency Tent and Sleeping Bag Kit is a fairly basic survival tent. It's made out of Mylar, which helps to retain up to 90% of your body temperature, as most Mylar does. It is also lightweight and simple to use. 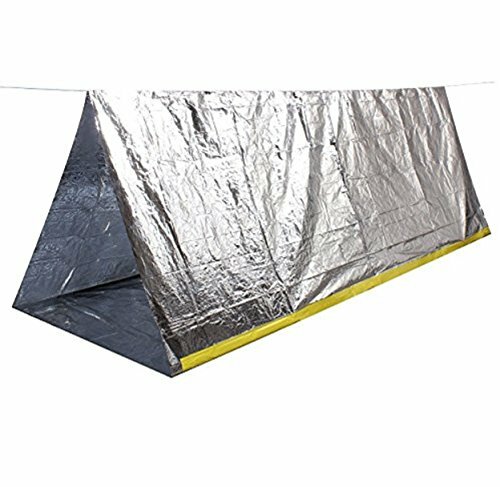 The OUSPOTS Weather Tube Tent is another normal survival tent that, while it is made of heat-retaining Mylar, is the same as most other tents. It is lightweight, easy to store, and simple to put together. The Wealers Emergency Shelter Thermal Tent is the last survival tent that we examined, and we found that it can certainly keep you warm through the night, keeping upwards of 90% of your body heat in the tent with you. It can be put together very quickly, and can be very easily stored. The Survival Shack Emergency Survival Shelter Tent is a fairly decent survival tent, if you're looking for one to put in your emergency kit. It has a good balance of upsides and downsides. The best part is that this survival tent is actually reusable. 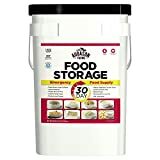 This is great, as many are meant to be used just once and then thrown away; this way, you don't have to replace the stock in your emergency bag if you end up needing to use it. It's also fairly simple to put up, though the instructions don't appear quite so clear. But it's almost foolproof; all that needs to be done is running the paracord through the top of the tent and securing to nearby trees or other structures. But there are certainly downsides to this product. The most prominent on is that there are absolutely no bottom anchors holding the tent to the ground. Because of this, you'll have to use your own bodyweight to keep it down; this also makes it far less sturdy than it could be. Made of Mylar - retains up to 90% of your body heat. Small (8.9'' by 6.2'' by 1'' when folded). Instructions not very easy to follow. On the shorter end at 8' long. For something a bit sturdier than your average survival tent, you might want to look into the SURVIVOR X Emergency Shelter Tube Tent. 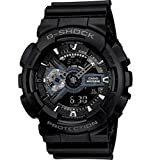 This has a marvelous design, along with being made of space-age (but lightweight) materials. The best part about this tent is how warm that it will keep you. While other tents might leave people shivering, but alive, that isn't the case with this tent. Instead, it will retain 99% of your body heat, keeping you warm and toasty, even in the bleakest of conditions. It's also a very sturdy option when it comes to survival tents. Not only is the paracord that holds it up strong, it also comes with 4 tough anchors to keep the bottom of the tent from leaving the ground, something not all survival tents bother with. Uses space blanket material - capable of retaining up to 99% of your body heat (one of the highest percentages available). Has 4 anchoring ropes, to keep it firmly fastened to the ground. Comes with very strong paracord. Reflective properties may diminish with usage. The Sportsman Emergency Tent and Sleeping Bag Kit is a fully functional survival tent that is capable of keeping you warm. Unfortunately, it is little besides that; it seems to be fairly basic. It's made out of Mylar, which can trap up to 90% of your body heat to keep you warm. It's also reflective, which can help to draw the attention of search and rescue workers who might be looking for you. It's also small and, at first glance, appears to be easy to assemble. The survival tent comes with everything that you would need to put it together and use it. This is, however, a single-use survival tent; you can't reuse it at all. It also doesn't have any anchors to keep it rooted to the ground, which may make for an uncomfortable night if it becomes too windy. Uses Mylar thermal material - retains up to 90% of your body heat. When packed, only measures at 2'' by 6'' by 10''. When being used, it's 105'' long and 56'' wide. Comes with 21' of string. Must be discarded after having been used once. The OUSPOTS Weather Tube Tent is a fairly basic survival tent. It will get you through the night, but doesn't appear to offer much else that makes it special. It's very standard, and run-of-the-mill. The best part about this survival tent is that it is very, very simple to use. The instructions are very clear to read and follow, while all of the equipment that you might need to set it up is included with the tent itself. The tent itself is made out of Mylar to better insulate and keep you warm. The material doesn't appear to be flimsy, but strong. There are two major downsides, however. The first is that this is a one-time-use tent; you can never reuse it. The second is that there are no anchors to hold it to the ground, making it a bit unstable in windy or stormy weather. Made of Mylar - it will keep you warm while retaining 90% of your body heat. Good size when set up as a tent (240cm by 150cm by 90cm). While it is a decent survival tent, there really is nothing special about the Wealers Emergency Shelter Thermal Tent. 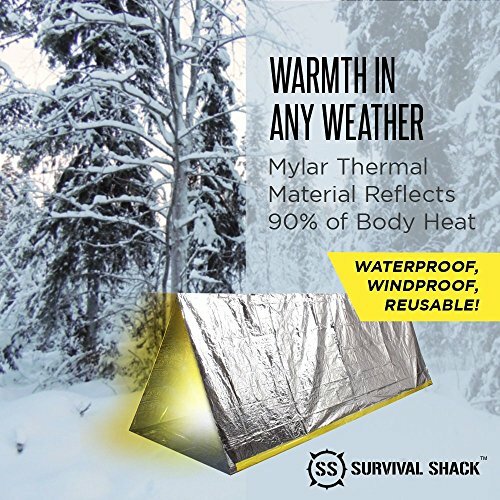 It will keep you alive and warm throughout the night, but it offers about the same as most other survival tents, and less than some of the better ones. The top reason that you might choose this survival tent over another is its ease of use. The instructions are simple, so that anyone can follow them. The material that the tent is made out of is Mylar, which can trap up to 90% of your body heat in the tent, using your own body heat to keep you safe from the cold. Like many other survival tents, this is a one-use tent; you can't reuse it again later. It also has no anchors to keep it on the ground, making it unstable at the best. Made with Mylar thermal material - retains up to 90% of your body heat. Very compact (0,7'' by 6,6'' by 9'' when folded). No bottom anchors (your bodyweight holds it to the ground). The following are some important notes, tips and information that you should know when choosing a survival tent. A survival tent is exactly what it sounds like: a tent meant to help you survive an emergency. This isn't a tent that you want to plan to spend the night in; it should only be for absolute emergencies. 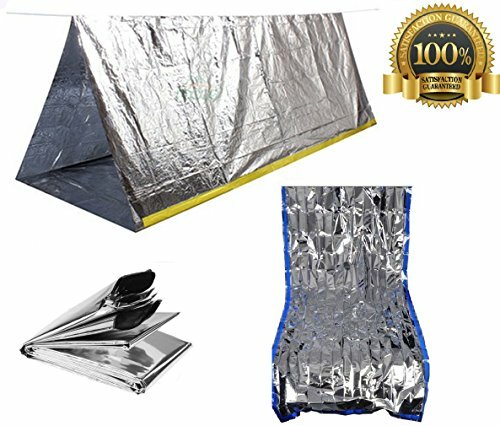 A survival tent is normally made of a shiny, reflective, silver surface; Mylar is the most commonly used material. This is to trap both your body heat and the heat in the environment around you, including heat from light itself. Most of the time, these will be in the traditional triangle shape that most people associate with tents. It is tethered to the ground, and suspended using paracord, normally included in the tent's kit. Survival tents aren't suitable for normal camping trips; they won't hold up under repeated use, and most should only be used once. Because of this, you should limit their use to true emergencies, when being without shelter could prove dangerous or even fatal. 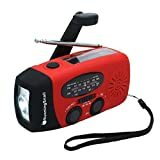 It's normally prudent to keep a survival tent in emergency preparedness bags; camping and hiking bags; inside of vehicles; and anywhere else that warmth or shelter might suddenly become lacking. One tent for two people is usually enough, though one tent per person might be better, depending on the tent and the situation. If you find yourself outdoors with no ready shelter in cold or adverse weather, a survival tent could be the difference between surviving the storm and not surviving it. The same can be said for using the shelter as an emergency blanket in a broken-down vehicle. The most important thing to remember: This is not a tent for recreation! Because survival tents are intended for emergency use only, you'll want to look for properties that make them useful in these scenarios. This means looking for an option that will keep you warm, dry, and safe until help can arrive. 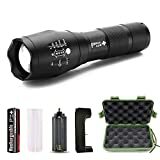 The first thing to look for is something that is easy to set up, so that you don't find yourself struggling in freezing conditions with your tent lying on the ground, useless. Tents should come with all necessary equipment, and adequate instructions. The second thing to look for is something that will keep you, and preferably at least one other person, warm and dry. It should be large enough that you can comfortably lie down; your feet shouldn't be poking out of one end. The third is very important, as it determines whether or not you'll actually carry the survival tent with you to begin with: It should be easy to pack and transport. If the tent is massively bulky, or unwieldy, then you're unlikely to take it with you. Lastly, you'll want to make sure that it can keep you covered. If the material is flimsy, tears easily, or the tent can't keep out the cold, you'll want a different survival tent. Survival tents are rarely just emergency tents. Because the material is so insulating, it's normally good for more than just acting as a makeshift shelter from the cold. The most obvious alternative use for a survival tent is as an emergency blanket, which is great to keep in your vehicle. All you have to do is wrap it as a blanket around you, keeping it snug. No assembly required here. What if you're camping, it starts to rain, and your rainfly suddenly disappears... or you never packed one to begin with? That isn't a problem. These tents are normally waterproof, making it a great on-the-go rainfly, if you don't anticipate running into trouble and needing it later. ​After carefully studying these tents, we have decided to pick the SURVIVOR X Emergency Shelter Tube Tent as the best survival tent. The defining feature here are the ground anchors that will keep the tent firmly planted on the ground, with or without the help of your body. Many of the other tents didn't have that, and thus lacked stability. Although many of the emergency tents are fairly common and almost identical, this one is still the best of the bunch. 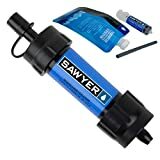 Add one of these to your bug out bag.